Honda fans will be in seven-heaven with this range of tuned Civics. 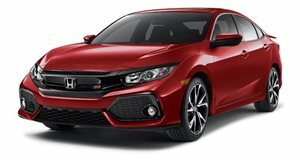 It appears that Honda are using this year&apos;s SEMA event to draw attention to their 2012 Civic range, as in addition to a selection of concepts and a smattering of historic models, the Japanese automaker has brought along seven modified Civic Si Coupes and Sedans. The limited-edition Honda Factory Performance (HFP) package on the two-door model is getting plenty of attention, in part because only 500 of the complete kits will go on sale today at U.S. dealerships. The package includes high-performance springs that lowers the ride by 15mm; high-performance dampers for enhanced road handling and reduced body roll; 18-inch HFP alloys; a full HFP aerodynamic kit; red ambient interior illumination; and HFP emblems. All painted parts will be color-matched to the seven available Civic Si Coupe colors. The Honda Performance Development (HPD) Compass360 World Challenge Spec Civic Si racecar was also revealed as was the body-in-white: a stripped out Coupe body especially for racecar builders priced at $3,500 a pop, which has been available since July. 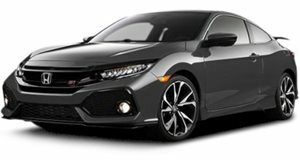 Sporting available Honda Genuine Accessories is the 2012 Civic Si Sedan, there&apos;s also a blink-182 modified Si Coupe for the Honda Civic Tour and three tuning concepts by Bisimoto Engineering, Fox Marketing, and Tjin Edition.